Do you believe these 5 myths about blogging for your startup? Do you believe these 5 myths about blogging? All forms of marketing seem to generate their own urban legends. And myths about blogging have persisted ever since marketers realised blogs were a great way to connect with audiences. You’ve probably heard a lot of them before. And you’ve probably even believed a lot of them. Maybe that’s why you don’t have a blog. Or maybe that’s why you started one – full of good intentions – and then fell by the wayside. 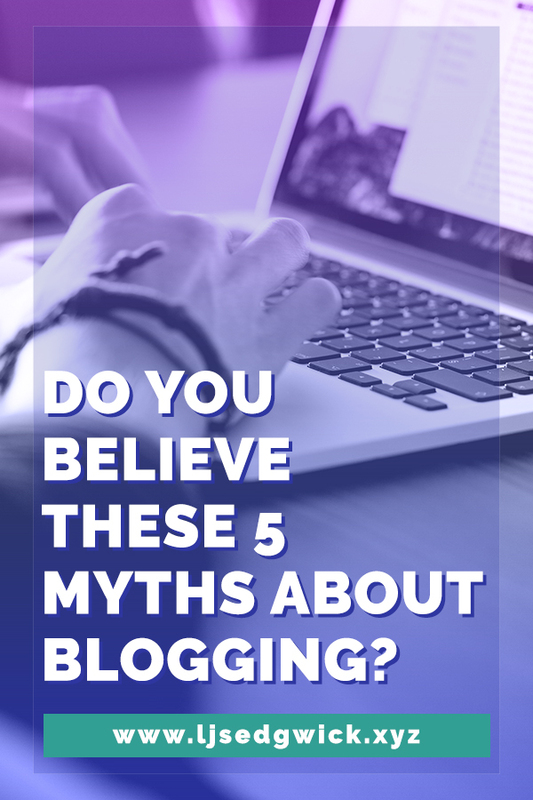 So if your company blog hasn’t been updated since January 2013, or if it’s still displaying a ‘Page not found’ error, then maybe you need to challenge your belief in these 5 myths about blogging. This is probably one of the biggest myths about blogging. And it’s an enduring one. People have been claiming that blogging is a fad for a few years now. They’re probably the same people who claim email is dead. So if blogging has been called a fad for a few years, how long is that fad expected to last? True, the number of active blogs has grown exponentially in the last few years. But that doesn’t mean it’s too late to join the party. HubSpot carried out a study and found that B2B companies that blog only 1-2X per month generate 70% more leads than those who don’t blog at all. That doesn’t even take into account the success of B2C companies. Their blogs speak directly to their consumers. So even if blogging is a fad, it’s worth getting involved because you’ll still get the benefit while it lasts. Find out why you absolutely need a blog in 2017. There has been a lot of debate about word counts lately. Should your posts be short? Long? Extra-long? Now that Google is prioritising pages that offer a good user experience, some have started to claim that means posts need to be over 2000 words. 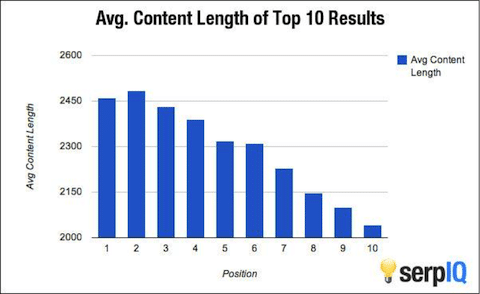 SerpIQ looked at the relationship between the position of a page in the Google search results and the content length of the page. It doesn’t take a genius to see that the higher ranked pages have longer content. There’s no point writing a post of 2000 words when you can make your point in 800. According to Darren Rowse, only 16% of people actually read online content word for word. And they only comprehend about 60% of what you write. So in a 2000 word post, that’s around 800 words going unread. Yes, Google does reward longer content. But it also rewards quality content. So worry about the quality of your blog posts more than the word counts. If you’re not sure how to ensure that kind of quality, then consider hiring an awesome blogger to do it for you. Hubspot proves to be handy with the stats again. They reckon that companies that post on their blog 15 times (or more) a month get 5x more traffic than other blogs. That works out at 3-4 posts a week. You don’t need to be a maths genius to realise that’s not a daily posting schedule. Posting daily is, quite frankly, pointless. Only your most diehard fans will want to consume content that frequently. And you should be sending their content to your email list. And yes, daily posts give you more chances to be found on Google. They give more opportunities for new visitors to click your headlines on Twitter. But you also run the risk of running out of content more quickly and reaching ‘burnout’. Once you hit that stage, you’ll stop wanting to blog at all. All of your hard work will have been for nothing. So space your posts out across a period of weeks, not days. That daily schedule could provide you with seven weeks of content if you post once a week. Having content spaced out more evenly also gives you the space to insert time-sensitive content. That’s helpful if you want to talk about a big event – like my post on the DDoS attack last year. Promotion often provokes other myths about blogging. Should you syndicate content across LinkedIn and Medium as well? Should you Pin your content on Pinterest? Do you need to turn it into an Instagram Story? It’s a good idea to put your content in front of as many people as possible. But it’s an even better idea to put your content in front of as many of the right people as possible. You’re a tech startup so Pinterest might be less useful to you – unless your tech solution benefits the Pinterest population. And Instagram Stories might not be the right platform either. But re-posting your articles on LinkedIn or Medium would be a great idea (and you don’t need to generate new content from scratch). Sharing your content is easier when you’re putting it on the platform your target audience uses. I write for tech startups, so I don’t promote my posts on Snapchat. Remember that to use these platforms properly, you need to maintain a presence there too. You don’t want to only turn up when you have a post to share. So ask yourself – do you have time to maintain a presence on every single platform if your audience only uses three of them? Don’t waste time you could be spending on your blog in cultivating a presence on the wrong platform. It’s easy to believe myths about blogging when you’re trying to save money. And the idea that anyone can do it is one of the biggest. After all, it’s just a question of talking about your product or service, isn’t it? No. 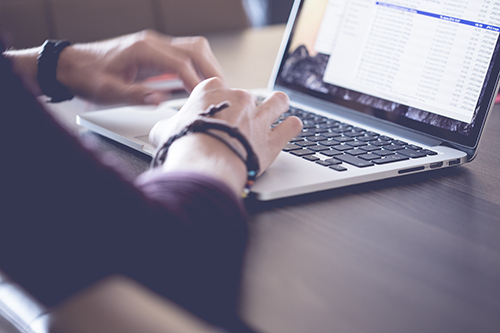 Your blog shouldn’t just be a collection of press releases or product data. Your blog is your conversation with potential buyers or users. Your posts should snag their attention and leave them keen to find out more about your solution. If you’re a natural writer, then this shouldn’t be a problem. But think about it this way. Is blogging really the best use of your time? Your time is valuable. The cost of hiring a blogger to create your posts for you is likely less than the money you could earn in the time it takes to write a post. Hiring a blogger isn’t just another expense. It’s a way to buy yourself more time. And isn’t that worth it in the long run? So ask yourself, do you still believe these myths about blogging? If you’ve changed your mind, great! And if you want to hand the blog to someone else, that’s even better. Sign up for my Tremendous Time Saver Package and watch your blog grow. Click here to grab your spot. Excellent post! I spend a LOT of time trying to convince other people to use THEIR time to do what they do best… which is so often NOT writing. Exactly! Play to your strengths!